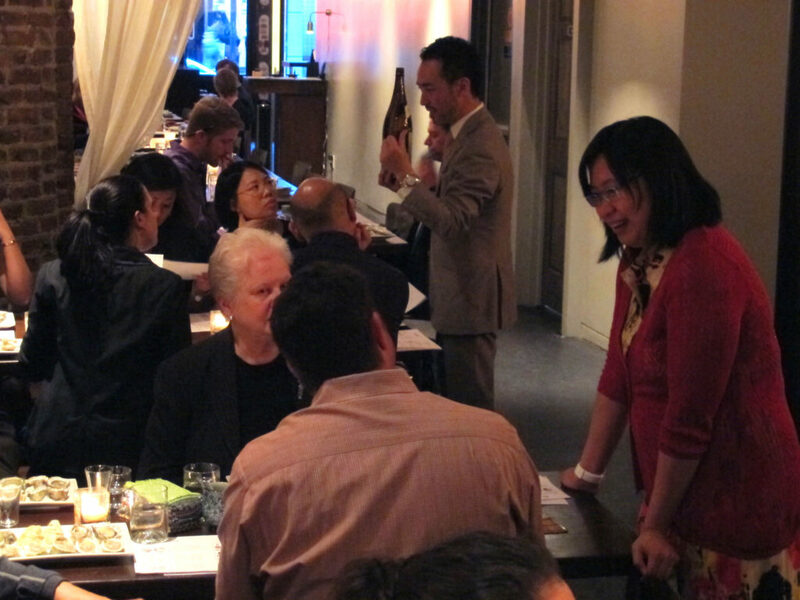 Last week, we were thrilled to partner with SakaMai sake lounge for a one-of-a-kind pairing: sake and oysters! We’ve all heard the advice to pair oysters with wine, particularly white wines like muscadet, sancerre, riesling and champagne. 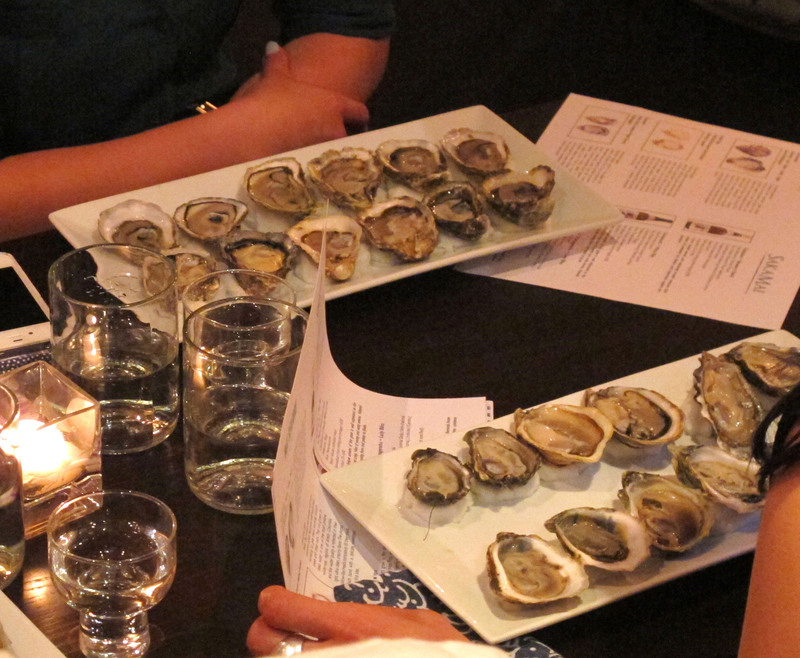 Heck, over on the West Coast, there’s even an annual competition/dating service devoted to pairing oysters with wines. After sipping wine with our oysters for many years though, it was refreshing to try something new. 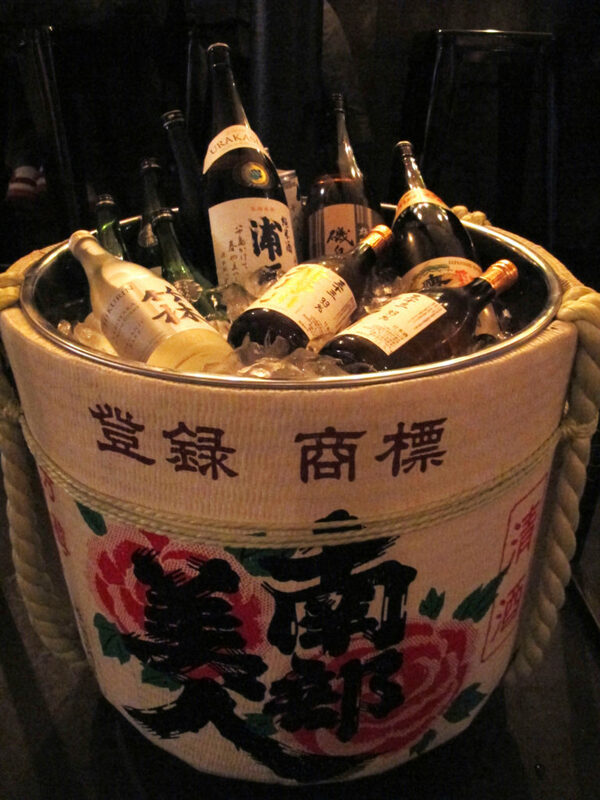 Sake has a wide breadth of flavors, from light, fresh notes to earthy, rich and heavy sakes. This makes it perfect for pairing many foods that don’t work easily with wine, such as vinegary foods, green salads with some bitterness, dishes with soy sauce and oysters. 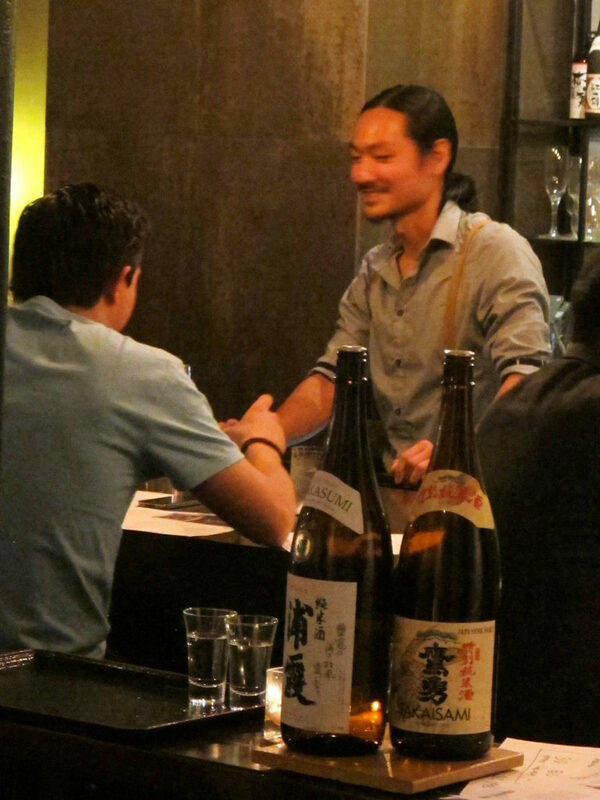 For Shell & Sake, we selected 6 sakes of varying weights and profiles, and paired them with all manner of creamy, fruity, briny and mushroomy oysters. 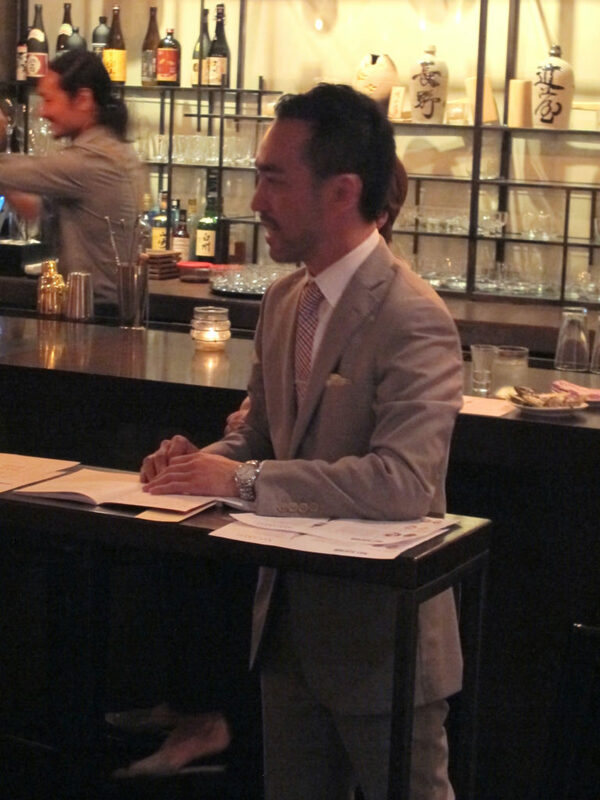 Nellie Wu from Element Seafood and Yasu Suzuki from SakaMai led the tasting with background information on oysters and sake, their producers and geography. 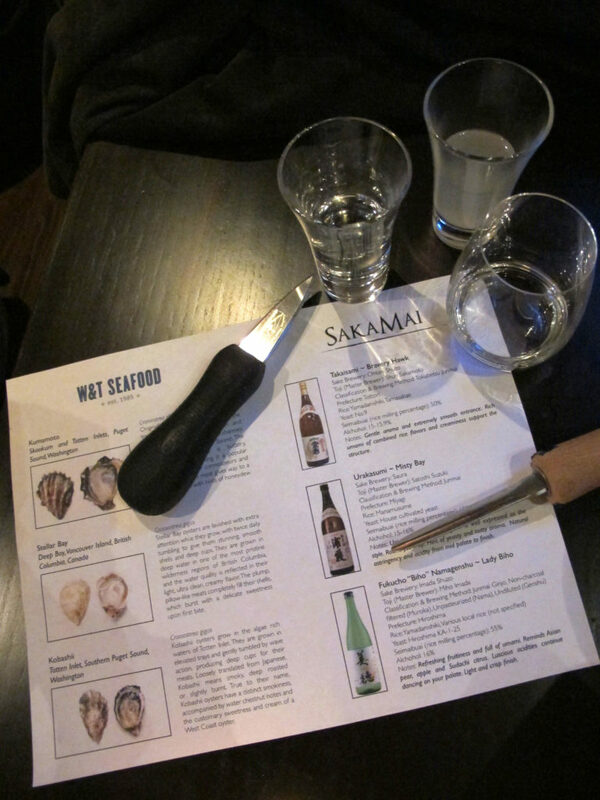 While the West Coast oysters, particularly the native Japanese Kumamoto, were easier to pair with sakes, the East Coast oysters often presented a nice sweet and salty contrast with the sakes. 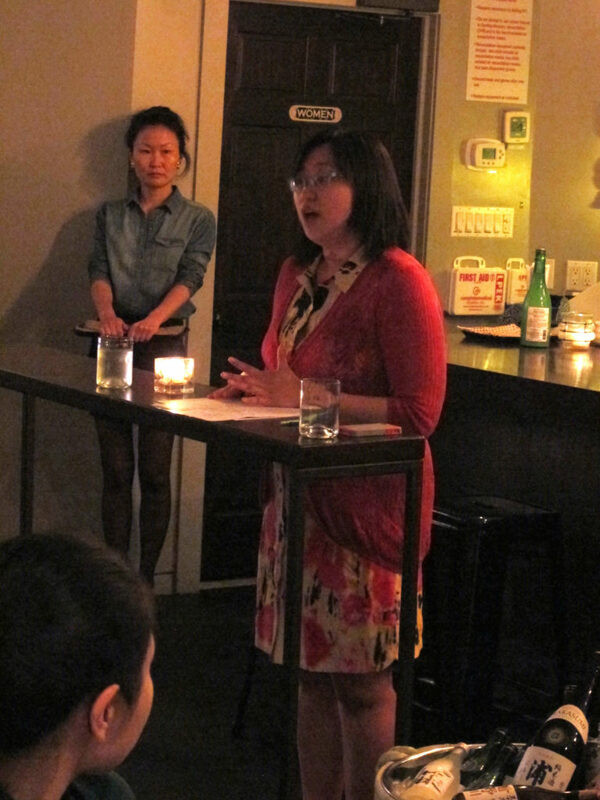 After a full evening of sipping and slurping, we all headed out armed with new knowledge and eager to discover more sakes and oysters.